What should you do to make sure you and your family have a holly jolly Christmas this year? Spend it in Pigeon Forge! 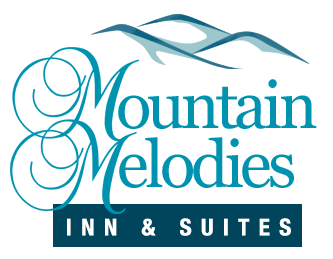 Mountain Melodies Inn & Suites has affordable rooms with awesome amenities that make you feel right at home, not to mention, you’ll be minutes away from all the best holiday attractions in the area! Here are the top 3 reasons to stay in our Pigeon Forge hotel this Christmas season. We know Christmas presents for the family can get pretty expensive, so we want to make sure your holiday vacation isn’t. When you stay at Mountain Melodies Inn & Suites, you can save your money to spend on exciting Christmas activities to make wonderful holiday memories with your family. We offer a variety of rooms and amenities to ensure you have a comfortable stay at a reasonable cost. Take advantage of the specials we offer to get a discount on your stay! We’re located right on the Pigeon Forge Parkway! That’s right, you’re within walking distance to all the Christmas fun! If you have any last-minute Christmas shopping to do, we’re less than a mile from some of the most popular shops in the area! Only about a 10-minute drive away is Dollywood, so you can share a Christmas experience like no other with your family when you visit Dollywood’s Smoky Mountain Christmas. You’re also just minutes from popular theaters such as Comedy Barn Theater and Country Tonite Theatre, where you can watch family friendly Christmas shows that are sure to get you in the Christmas spirit. If you’re in the mood for a night full of laughs, you’ll love the Comedy Barn Christmas Show, and if you’re looking for a more heartwarming performance, Country Tonite’s Christmas Show is the one for you. At our Pigeon Forge hotel, you’ll be right in the middle of all the action and Christmas cheer! Our incredible rooms and amenities really seal the deal on why you should stay at Mountain Melodies Inn & Suites during your Christmas vacation. Our Pigeon Forge hotel rooms all come with free wi-fi so you can stay connected during your stay, free parking and in-room mini fridges. Many of our rooms also come with private balconies, in-room Jacuzzi tubs and fireplaces, which are great when you stay during the holidays. You can see the Parkway lit up in millions of twinkling lights right from your balcony, soothe your muscles in the Jacuzzi tub or warm up in front of the fire. We also offer all our guests a complimentary breakfast, so you can get the energy you need to spend the day out on the town. Our convenient location and amazing amenities, all at an affordable price make our Pigeon Forge hotel the best place to stay during your Christmas vacation. Save your money for Christmas shopping, activities and more when you stay at Mountain Melodies Inn & Suites! Start planning your trip by booking one of our Pigeon Forge hotel rooms. We look forward to celebrating the Christmas season with you!